Hallo zusammen und einen wunderschönen Freitag euch allen! Heute möchte ich euch eine elegante weiß-auf-weiß Karte zeigen. Hello there and happy Friday!!! Today I would like to show you a very elegant card with a white on white look. Als erstes habe ich den Schmetterling, das Tag & das Rechteck ausgestanzt und Letzteres anschließend erst geprägt - so kommt das Muster besser zur Geltung. Danach habe ich nur noch das "Happy Birthday" auf das Tag gestempelt, die Teile aufgeklebt und mit den klaren Sequins den Look abgerundet. 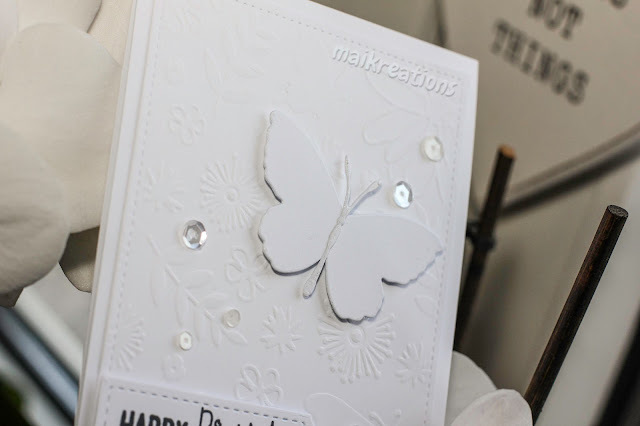 At first I die cut all the pieces that I needed (butterfly, tag and Background panel) and then embossed the panel with this cute garden-scene embossing folder. If you do the embossing before the die cutting you end up squashing the raised areas down a bit... as me how I know... ;o) Now all that was left to do was to stamp the sentiment on the tag, glue all the pieces on the card and scatter a few clear sequins to finish off the card. Simon Says Stamp Wednesday Challenge "Things that fly"
Fan-tastic Tuesday "White on White"
Aud Sentiments Challenge Blog "Use a two word sentiment"
Scribbles Desing Challenge "Clean and Simple"
Wunder scheon! Love the white on white. The dry embossing details are so pretty! Thanks so much for playing Simon Says Stamp Wednesday “Things That Fly” Challenge! Danke! What a beautiful birthday card! Love the all white design as it looks just stunning! 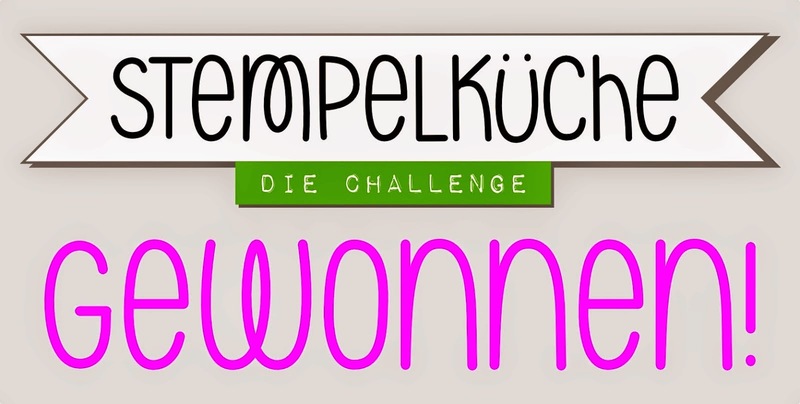 Thanks for joining us this week at QKR Stampede for the weekly challenge! Beautiful white on white card. 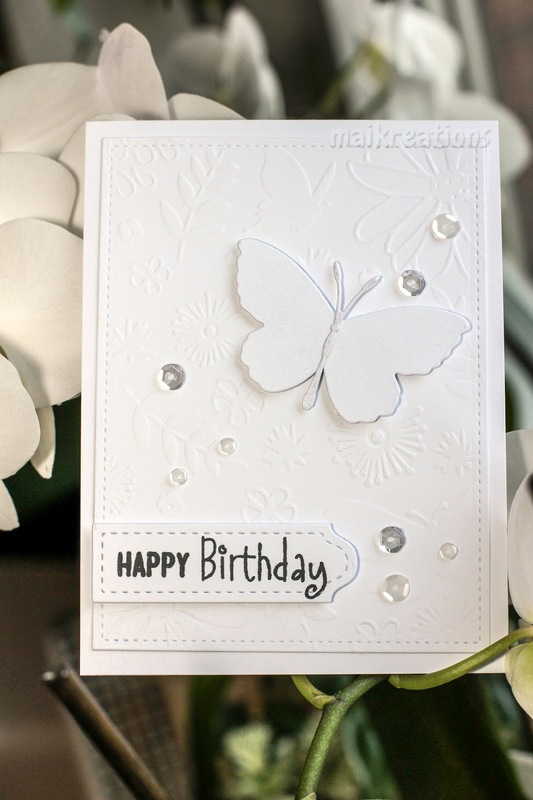 I like the embossing and the butterfly. 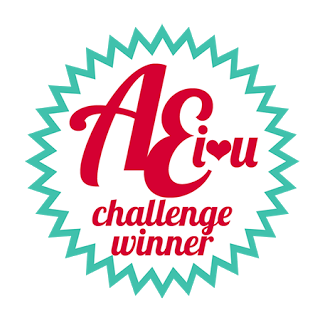 Thanks for joining us at Aud Sentiments for our two word challenge. I always forget to use sequins! So so pretty!